Samokov is situated on the northern foot of Rila Mountain among the so called field which is one of the highest fields in Bulgaria. The longest Bulgarian river- Iskar passes through it. The town is just 60 kilometers away from Sofia and just 12 kilometers in north- western direction of the worldwide famous resort- Borovets. Samokov is the biggest producer of potatoes in Bulgaria. Samokov is a wonderful mountain town with mountain spirit. The huge fountain right in the middle of the centre of the town is definitely a site that worth to be seen. This is a really interesting town as most of the buildings are huge mountain houses, made mostly by stone and wood. Stone and wooden houses are actually a common sight everywhere in the Rila Mountain. Each house is like a reflection of the owner’s soul and mind. It is like an obligatory rule to build a house with just natural materials. It is like the house is a living creature that needs to carry its own character. Most of them are two storey houses, all of the arranged in a row. The locals take care of their houses to make them look pretty. The town is also known for its history. The famous icon- painter school of Samokov left a lot of works of art all over the country. 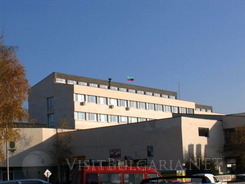 Samokov is rich of cultural and historical sightseeing. Several interesting churches can be visited in the town; there is even a working nunnery, which was created in 1772. Borovets ski resort is just a few kilometers away. Most of the personal in the world famous resort comes from Samokov. Actually Samokov is known to be the town with oldest traditions in the ski sport. Most of the ski instructors in the Bulgarian ski resorts come from Samokov. Petar Popangelov was also born in the picturesque town. Ski jump lovers can enjoy the only jumping hill that can be used not only during the winter, but also during the summer. During the winter numerous ski jump competitions and shows are taking place on the site. The European champion of ski jump 1984 Vladimir Breichev was also born and raised in the town.